It's EMCEE MANIA for the Moe Train! In the next two months, Train will be emceeing two major events. 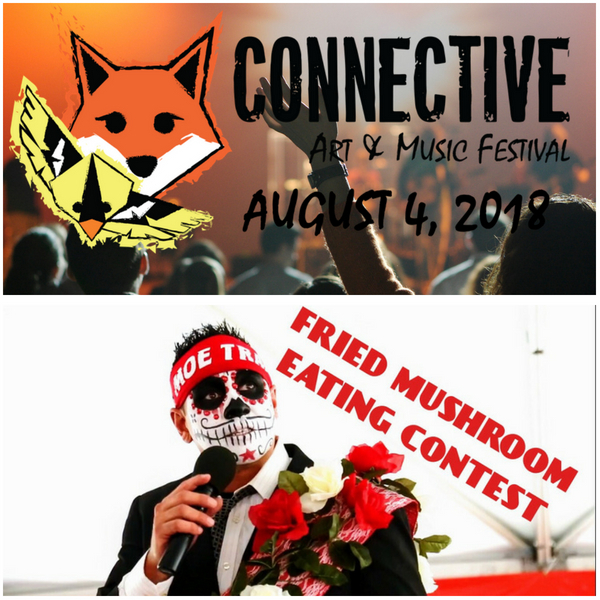 The first, on August 4 in Oxford PA will be the Connective Art and Music Festival with platinum recording artists Eve 6 as the headliners. The second event is the National Fried Mushroom Eating Championship at the Kennett Square Mushroom Festival on September 8. Train will be back soon to talk about each festival individually. If you're in the area, you should pick up tickets and check out these awesome events!